Repiping | Ken Neyer Plumbing, Inc.
Can Old Steel Plumbing Pipes Be Unhealthy for a Household? Over the last century, many different materials were used to make the plumbing pipes in homes. Today, the most common materials are copper and plastics (PEX, CPVC). But for many decades, the main material used was galvanized steel. If you live in a house that was constructed before 1970 (or even 1980), you may have extensive steel pipes in your household. You may have also heard these pipes pose health risks and other troubles. Is there any truth to this? Fortunately, a licensed plumber can fix this for you. 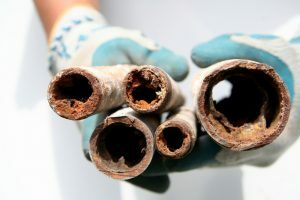 Posted in Plumbing | Comments Off on Can Old Steel Plumbing Pipes Be Unhealthy for a Household? What’s Better for Piping: Copper or Plastic? 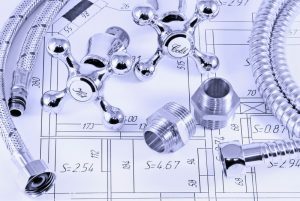 In the ol’ days of residential and commercial plumbing, the most common materials for piping were cast iron, clay, and galvanized steel. If you have a home that was built before 1970, you may have galvanized steel pipes in many places—if not for your entire plumbing system. Even earlier-built houses (pre-World War II) can have cast iron pipes and a clay sewer line. These are outdated materials, and if your home contains any of them, we recommend calling our expert plumbers for whole-house repiping in Cincinnati, OH or wherever you are in our wide service area. The pipe materials we use to replace aging pipes are copper and different types of plastic. Posted in Plumbing | Comments Off on What’s Better for Piping: Copper or Plastic? Pipes are what most people think of when they hear the word “plumbing.” This makes sense. 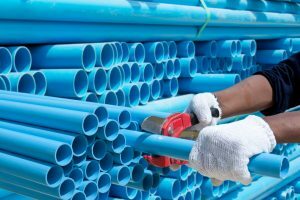 Pipes are the essential part of what plumbing is, the transportation of water, sewage, and gas from one place to another. Since piping has a long history, there have been many different materials used to construct it, such as clay pipes back in the Bronze Age. (Clay, although better than Bronze Age era clay, was also common through the first half of the 20th century.) The piping materials used up to 1970 were usually cast iron, galvanized steel, and lead. These have fallen from favor, especially lead because of the toxicity it can add to fresh water. These materials are also prone to corrosion, which is why older homes often need to have water and sewer line replacements. Homeowners have a tendency to think of the pipes that make up their household plumbing system as invincible: they should last for as long as they own their homes. It’s true that pipes are designed to endure for decades—but that’s not the same thing as making them invincible! In some cases, you will need to call for plumbers to arrange for a partial or complete repiping of your home to take out worn and outdated pipes. This will keep your plumbing system healthy and your household as free as possible from clogs, leaks, and other plumbing issues.